02.21.19–[CASC MPR]–Welcome to the first Global Sounds of the semester! 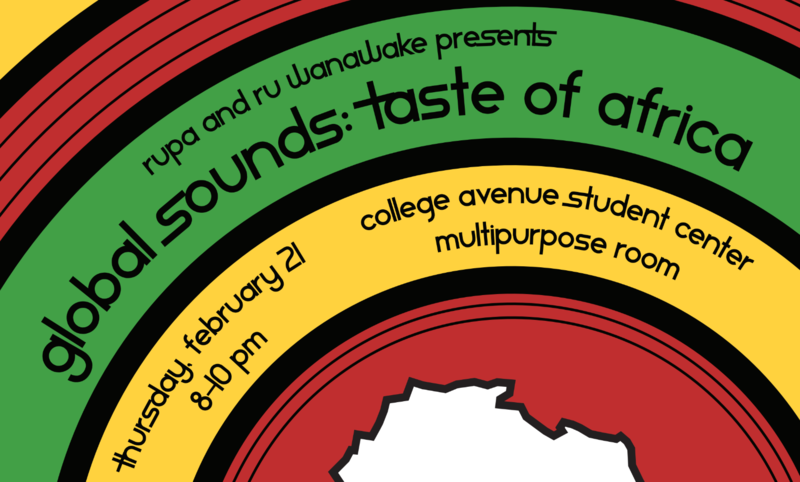 RUPA and RU Wanawake are excited to present A Taste of Africa, a night dedicated to celebrating the diversity of different regions in Africa. There will be FREE FOOD, activities, student performances, and a DJ! Bring your friends and join us in what is sure to be a great night!